“Positivizing” your Mindset for a more successful you! There is a thin line that delineates self hypnosis from meditation. Some people say both are the same… only differing on the context of which they are used. Both involve entering a “state of trance” delving into the innermost sanctum of the subconscious. Both require focus and utmost relaxation. However, in as much as they are alike, these two also have certain differences and separate purposes. Here, we are going to discuss on its similarities, differences, purposes and the manner that they can serve your intent. Undoubtedly, self hypnosis is quite similar to meditation, and vice versa. However, self hypnosis is often utilized to stimulate behavioral changes and to benefit specific problems or issues. Its main drive is to evoke positive thoughts and ideas to a person’s subconscious mind. Self-hypnosis is basically more dynamic way of relaxing the mind. Meditation, on the other hand, is meant to completely relax the mind. A person meditates to release all thoughts or to free the mind from any thoughts that can hinder one’s goal in doing so. Unlike hypnotherapy which targets specific objectives, meditation is used as a training ground for the mind to relax. As mentioned, self hypnosis is meant to address a particular issue. A person who uses hypnotherapy often has another goal that goes beyond mind relaxation as opposed to the pure absence of thought in meditation. Though both can be steered using visualization techniques like on a calming countryside or with the sound of nature, self hypnosis stimulates the relaxed subconscious to pursue a perceived change. A person engaging in hypnotherapy relaxes the mind yet evokes it to pursue a positive change. On the other hand, a person who meditates simply relish at the experience of an unperturbed subconscious. When it comes to meditation vs self hypnosis, the difference rests on your objective and goal. Your purpose in engaging on either meditation or hypnotherapy lays primarily on what you are trying to achieve. Aside from their purpose, there is little difference between the two. If you try to have two person seated side-by-side with one engaging in meditation and another in self hypnosis, there is little you can observe as differences. It is like comparing alcohol and wine. Both make use of mind relaxation. Meditation, it seems, is just another means of “entering” a hypnotic state. Though they may differ in purpose, meditation and self hypnosis have similarities. One similarity both possess is by being in a state of deep relaxation. It also utilizes the same breathing and visualization technique when getting into a trance-like state. Both can also aid in the therapy or improvement of a person. Some people are comfortable with hypnosis while there are also some who are more inclined to meditate. 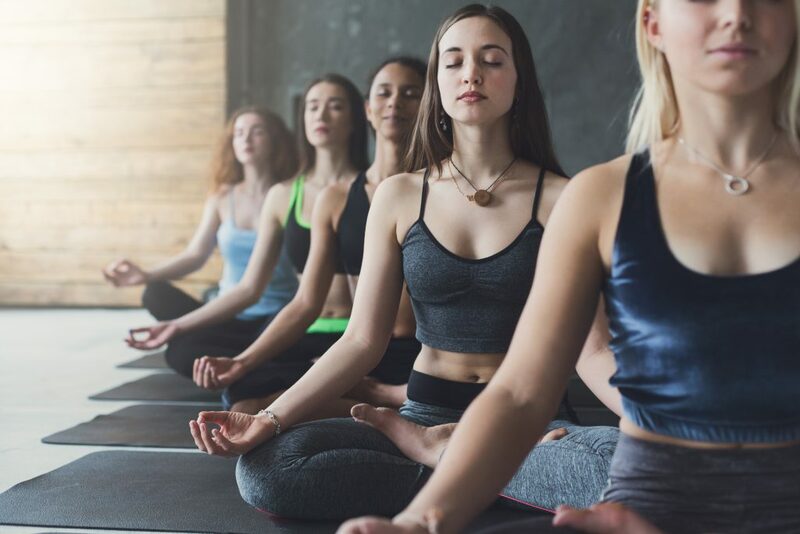 However, the fact remains that both practices are potent and beneficial to certain issues and medical conditions like psoriasis, anxiety or depression, insomnia, headaches or migraines, and other psychosomatic condition. When thinking of meditation vs. self hypnosis, the only notable difference is on its persona use and purpose. Meditation is designed for deep-sated relaxation while self hypnosis is more directed towards a change of behavior. Nevertheless, both are excellent means to relax the mind and can, therefore, provide benefits to an individual suffering from physical, mental or emotional upheavals and disorders. Previous Post How To Release Emotional Baggage with Self Hypnosis Next Post Can You Overcome Depression through Self Hypnosis!